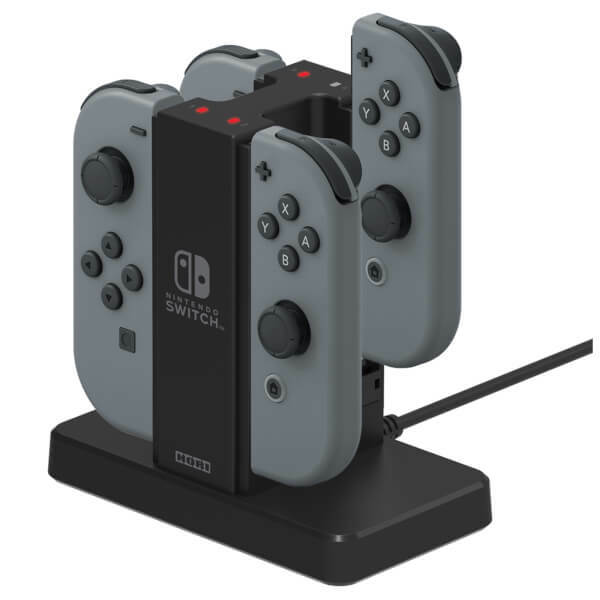 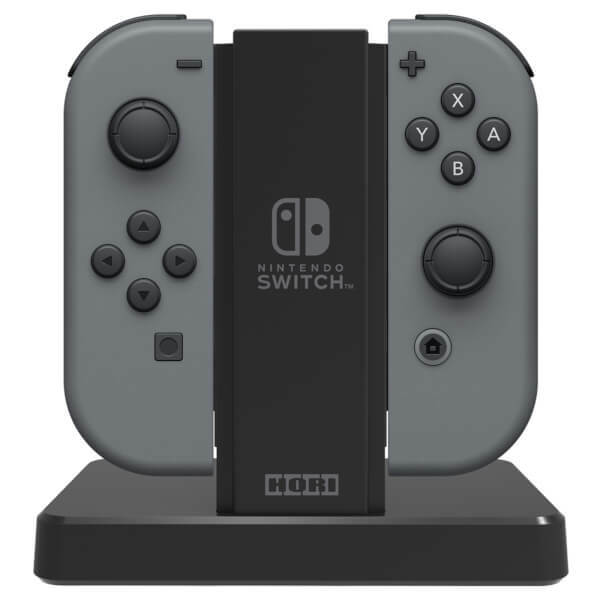 The Nintendo Switch Joy-Con Controller Charge Stand is the perfect charging and storage solution for your Nintendo Switch Joy-Cons. 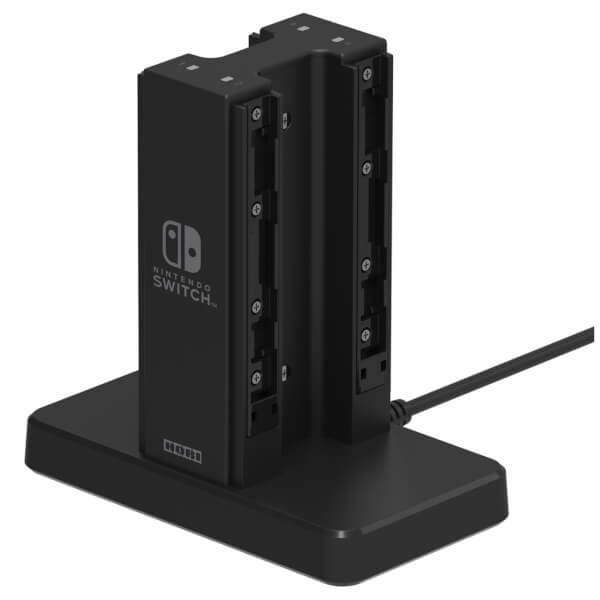 Charging up to 4 Nintendo Switch Joy-Cons Controllers at the same time, the stand includes LED light indicators to show the controllers charge-status. 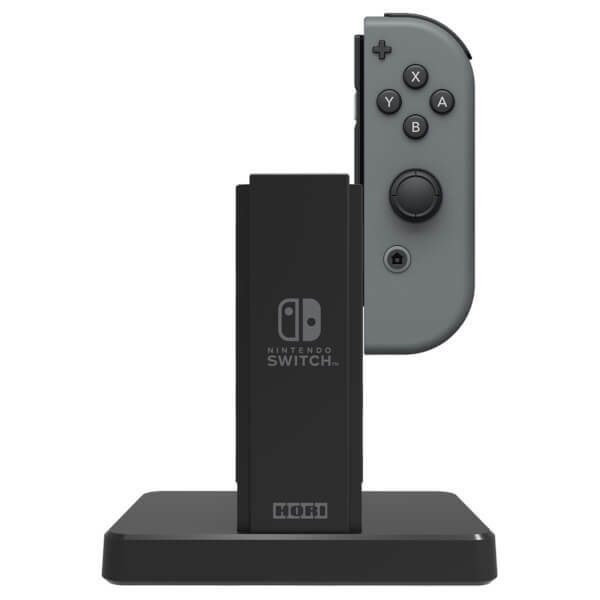 It also provides a great storage unit for when you're not playing. 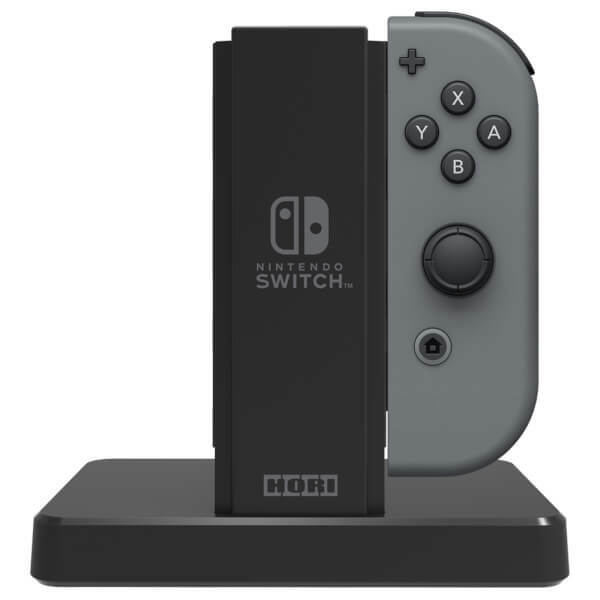 Fantastic charging dock for the controllers. 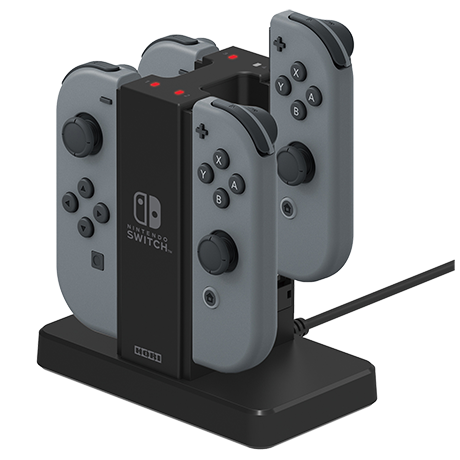 You can use it through the USB port on the switch console stand, through it is quicker to charge using a USB adapter plug (not included). 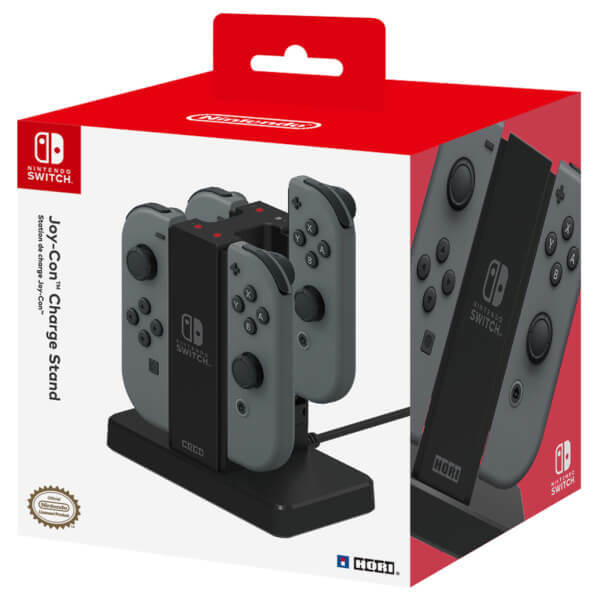 The lights clearly indicate red when the controllers are charging and go off when they are fully charged.